REDEVELOPMENT PROJECT FOR THE THROUGHFARE BETWEEN PORTELL AND THE COLL NEIGHBOURHOOD, GRACIA. OBJECTIVE: To define the trajectory and features of the Portell throughfare and improve the connection with the city as well as the urban environment and livability for the local community. 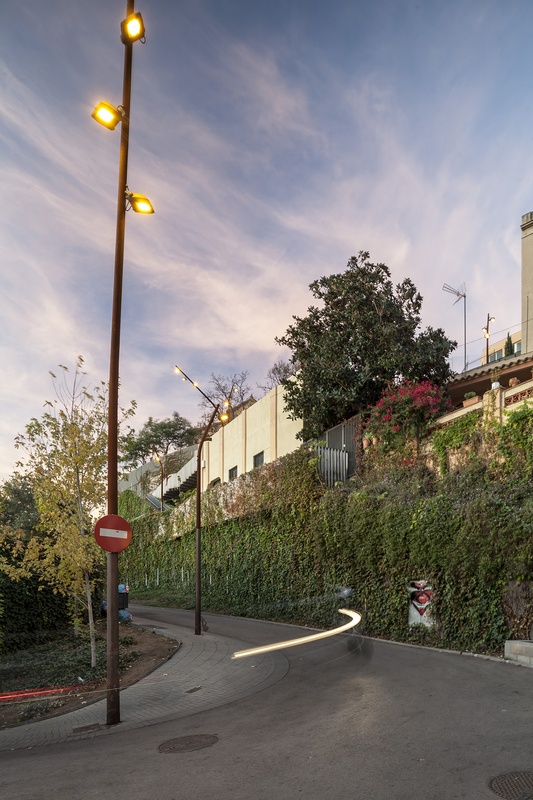 STRATEGY: As a throughfare between Parc Güell and the Creueta del Coll Park, the project is approached not as an isolated enclave but rather as a structural element of the neighbourhood itself. The city throughfare is treated as a doorway leading to the park, with the latter’s corresponding qualities expanding to Santuari Avenue. The Portell throughfare responds more to the logic of a linear park, than that of a road, which is why the urban furnishings have been chosen for their aesthetic appeal, with local residents in mind, rather than elements more commonly found in streets. 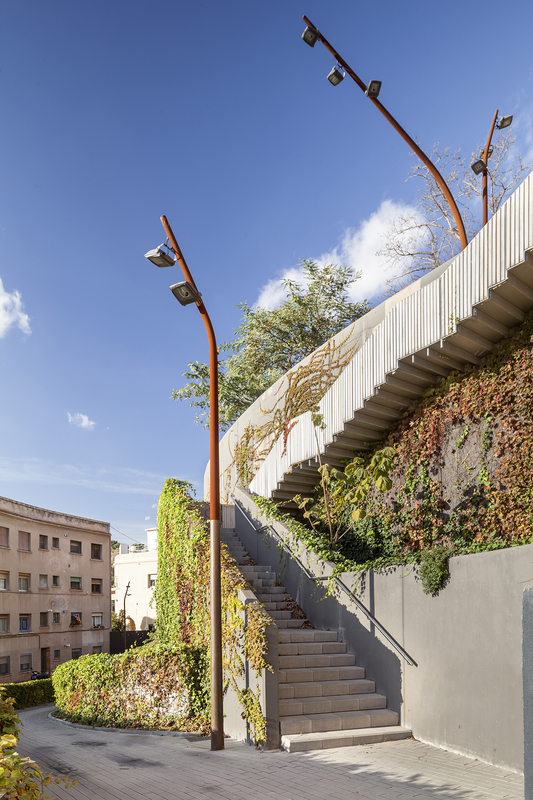 Greenery is introduced on three different scales: the Portell throughfare, pockets of public space and Parc Güell, thereby creating a system of urban parks along the throughfare. ENERGY SAVING: The lighting is resolved through dual-intensity streetlights. A SuDS drainage system has been used for the Parc Güell section, more specifically an infiltration well for rainwater located in the gutter next to the stairs.